It seems like spring has finally made its way to the Bitterroot and I am ready for some color and fun! May is always a busy time for us with Mother’s Day, Graduations, and garden preparations. 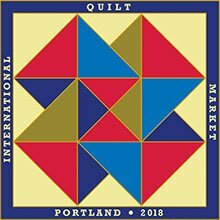 It will be especially busy for Patches because Claudia and Lynda Rygmyr are traveling to Portland to Spring Market. We would love for you to be part of our experience, so be sure to follow us and comment on our Facebook page! Our final Finish-Up Friday for this season will be this Friday the 4th. Call us to RSVP. I am sure Marilyn will serve up something special. We are having another Boxy Tote class on April 10th and 11th. The girls last session was a wonderful success and the totes are adorable. They are so handy to carry, supplies, Singer Featherweights, and just about anything. We only have a couple of seats left, so sign up now. Claudia will return from Market just in time for Embroidery Club on May 22nd. Scheduling has been pretty chaotic, so we will make it extra special for you all this month. We will be doing the zippered pouch completely in your embroidery hoop. 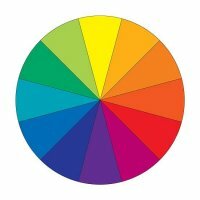 Scrapaholics will return on May 24th with a special presentation on color. This is one you will not want to miss! Please check out our web page for more information. Come in and let’s make spring and summer a great one.